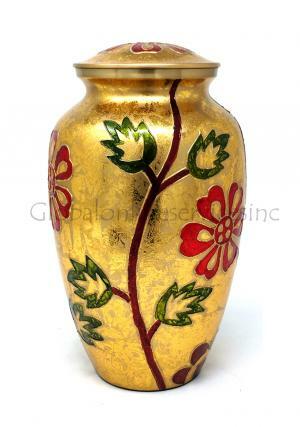 Orange & Gold floral adult urn decorated with flowers in red and leaves in green branches. 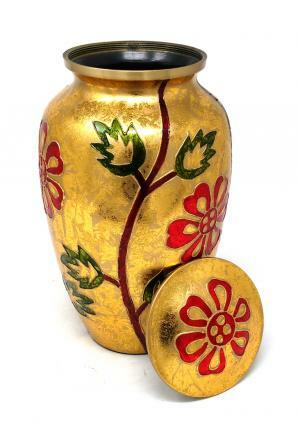 The adult orange & gold cremation urn is beautifully decorated gold enamel with smooth texture and hand printed flower garden in colours. 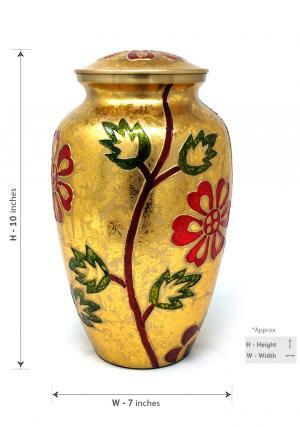 The midnight gold floral adult urn is made of high quality brass metal with professional art work encrypting to measure the beauty of the urn. 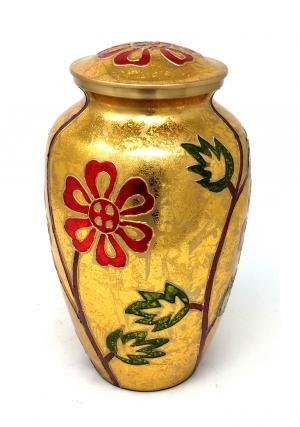 The brass floral urn has smooth finish with a decorated lid of coloured flower and gold enamel. 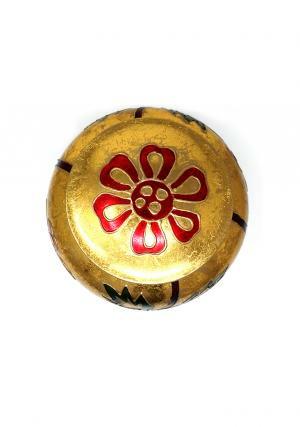 The lid of the black cremation urn is secured with screw threading to care about the ashes of the adult cremated from the top.